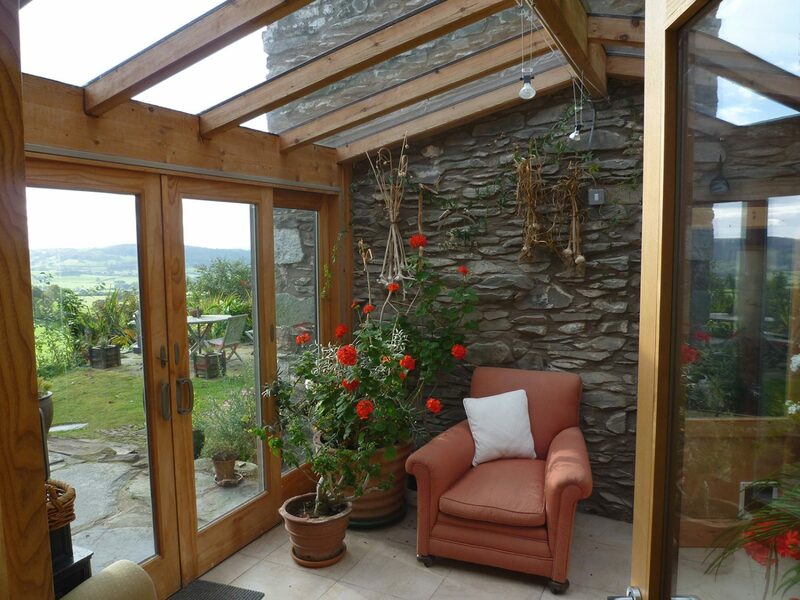 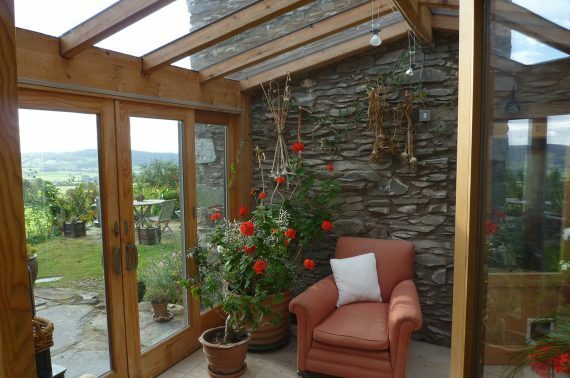 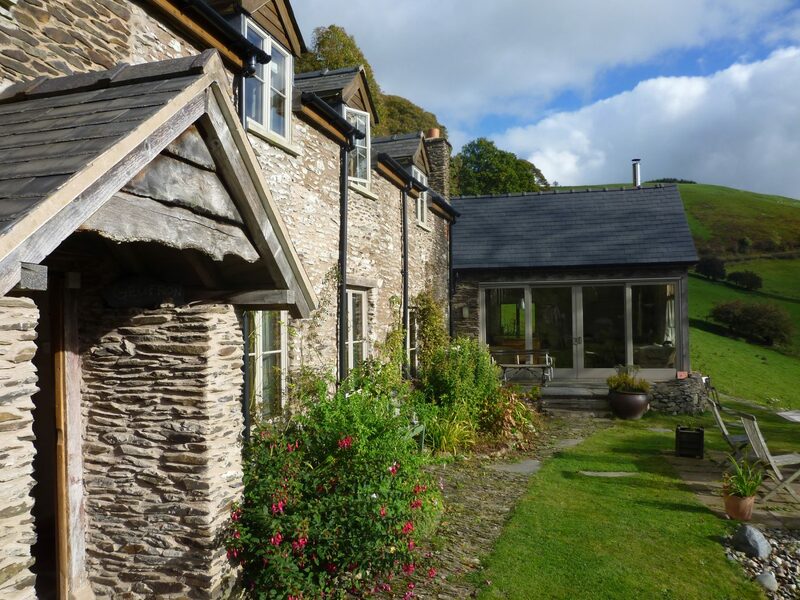 Geufron is sited against a steep Welsh hillside with stunning views of the Berwyn Mountains. 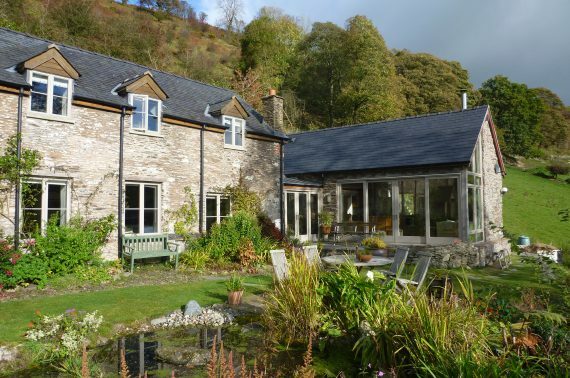 In order to take advantage of the views and maintain the scale of the existing cottage, Donald Insall Associates’ approach has been that of designing a ‘new barn’ linked to the cottage by a glazed single-storey entrance to the kitchen garden. 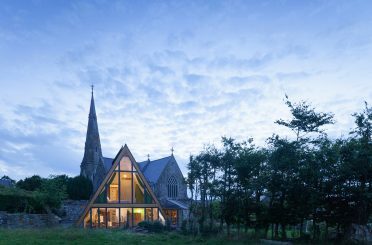 The remote and inaccessible site presented difficulties for construction and access. 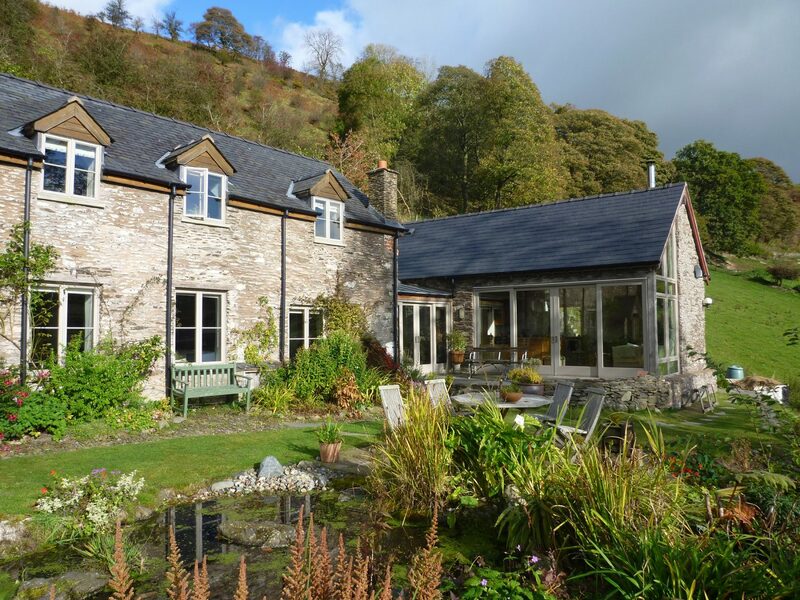 To reduce building costs, the owners elected to implement a self-build project, with help arriving from the local community. 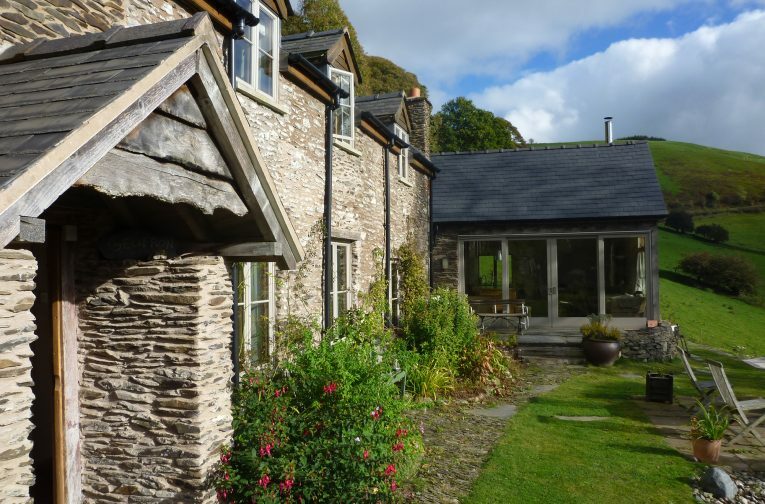 The stone has been sourced from a nearby quarry and local woodsmen felled and seasoned five ash trees for the doors, floors and much of the structure. 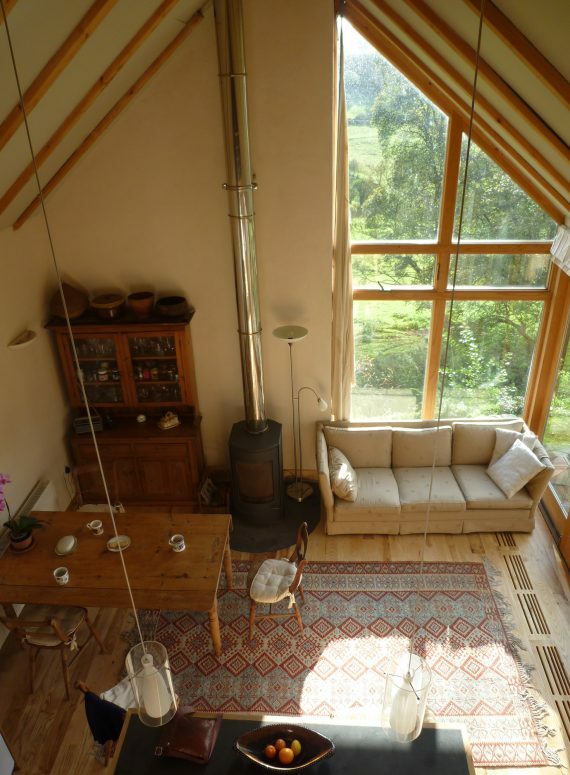 Oil consumption for heating has been minimised by installing a thermal store, heated by a wood-burning stove and large solar collectors.